Completely automated, from tossing, weighing, and forming the sushi rice to lining them up for storage on a tray. Your speed will increase and its ease of use will make you more efficient! The machine can make up to 4,200 pieces per hour and produce delicious Nigiri rice balls with proper melt-in-your-mouth consistency. Uses a unique forming process that does not damage the grains of sushi rice. The interlocking safety cover completely protects the transfer unit, improving safety. Backwards compatible with the SSN-F model. 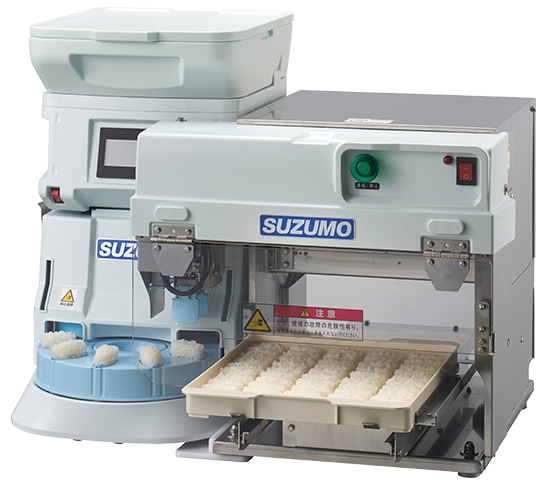 The Compact Sushi Machine can also be used without the transfer unit making it easy to also produce only a small number of rice balls if necessary. Hopper sits low, so sushi rice can easily be loaded. The measurement unit keeps the rice at a low density and with uniform distribution so the machine produces fluffy rice. Uses a comb tine-method to form the sushi rice into soft balls without cutting the grains. LCD touchscreen is user-friendly and what's more simple to use. Touchscreen will also display detailed information about any errors that arise, allowing operator to use machine with confidence. Simple construction means it excels in terms of sanitariness and washability. Assembly and disassembly also easy. * Please toss the sushi rice before loading. 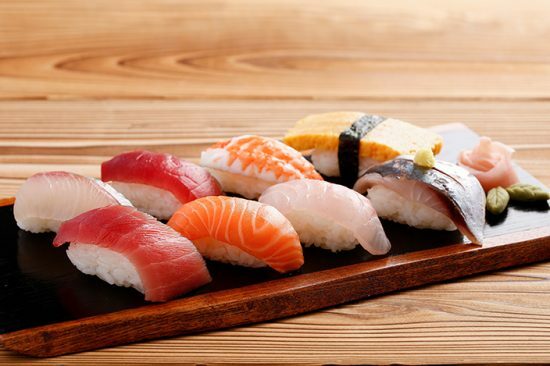 In particular, be sure that any sushi rice that is under 40ºC or vacuum cooled has been tossed well before loading. * Does not come with a lid storage rack. Also, only the large-size rice hopper is included.